We are nearly 30,000 Priests, Brothers, Sisters and novices serving in the spirit of our founder, Don Bosco, an Italian Catholic priest who devoted his life to fulfilling the needs of orphans and vulnerable children. 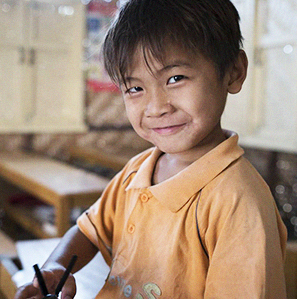 Salesian Missions is dedicated to caring for poor children throughout the globe in more than 130 countries. Explore the types of work we do, the places we do it, and find out how you can help too. 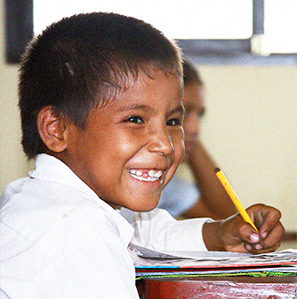 You have the power to transform the lives of poor and impoverished children who have nowhere else to turn. You can set families free from the grip of poverty and help rebuild in the wake of war and catastrophe. Our friends and supporters have turned to the Salesian collection for thoughtful, tasteful and meaningful gift items. you can be assured that your act of kindness and generosity will be long cherished. Burkina Faso is one of the poorest countries in the world, ranking 185 out of 188 countries on the United Nations Human Development Index 2016. According to the World Bank, more than 46 percent of the country’s population lives in poverty on less than $1.25 per day. Burkina Faso has suffered from several serious droughts that have driven up food prices affecting the country’s food supply and causing malnutrition among the poorest residents and children. Up until the 1980s, the country also dealt with devastating military coups. Salesian missionaries have been working in Burkina Faso since March 1993 when they began work in Bobo-Dioulasso, the second largest city in the country. They settled in a neighborhood known as Ouezzin which is an expanding area of the city with nearby areas crossed by several rivers. Salesian missionaries provide education and social development services designed to create a sense of family among the most vulnerable children and those most at risk of social exclusion. Bobo-Dioulasso is the reference point for many surrounding villages where children, youth and adults head to in search of better living conditions. The area also has many children who have been abandoned by their family or sent into the city alone in the hope of a better future. As a result, there is a high population of children living in the streets. Most come from rural areas where they have left school or have not even had a chance to start. With no education or means to take care of themselves, many youth who end up living on the streets turn to drugs or stealing, or are involved in prostitution or begging. The situation of girls is particularly severe because many end up as domestic slaves, subjected to exploitation and abuse, and deprived of all their rights. Salesian missionaries living and working in the area have created programs that address the child welfare needs of youth living on the streets. A Salesian home accommodates 30 children, who are offered education, a place to sleep, food and medical care. And, if possible, they are assisted in reuniting with their families. Salesian organizations in Spain have joined together to help create a Salesian-run Women’s Promotion Center in Kouba, an area within Ouagadougou, the capital of Burkina Faso. The center is operated by the Salesian Daughters of Mary Help of Christians as part of a vast socio-educational project. Work started in December 2017 and was completed within 10 months. Salesian missionaries working within Ouagadougou and surrounding communities received funding from Salesian Missions donors to purchase a new off-road vehicle. Salesian missionaries in this remote land-locked country in West Africa serve a population from many communities. Some outlying villages are a great distance away and most roads are unpaved making it hard to provide supplies and pastoral activities. An off-road vehicle enables Salesian missionaries to safely transport youth to schools and facilities throughout the province. Salesian Missions includes agriculture in its vocational training programs – to ensure that youth of Rwanda learn better agricultural practices as well as keep the school self-sustaining in the face of the country’s food shortages. Our Mission is to teach young people various trades that will help them find decent jobs and become self-sufficient, contributing members of society.